A bowling bag in your hand can give you a completely different look in addition to giving you a sporty mental state. In fact, it can make you look like a complete professional who takes his game seriously and skillfully. 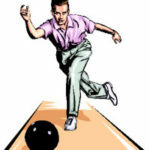 Since you have already started bowling, why not look like a bowler now? 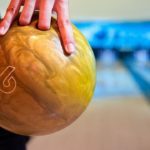 Moreover, you definitely do not want to be marked as a goof carrying your bowling ball in your hand to the club. On another note, if a bowling bag serves your needs, looks good and also does not cost a fortune, why not add it to your collection of happy things? Now, that we have intensified your desire to buy a bowling bag, let us help you find one. Today, we have focused our spotlight on the BSI Nova Single Ball Tote Bag. 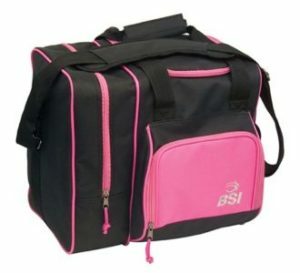 Apparently, our BSI Bowling Bag Reviews will help you know what you should look into while buying a bowling bag. In addition, all about the BSI Nova Single Ball Tote Bag. 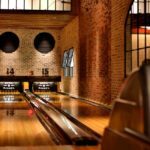 The Supplier: As a matter of fact, BSI meaning Bowling Services International is a leading, renowned, trustable supplier for bowling products. 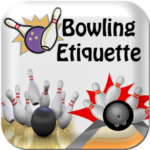 Moreover, it specializes bowling research and development plus bowling installations. So, if you were wondering if you can trust the supplier- You can. 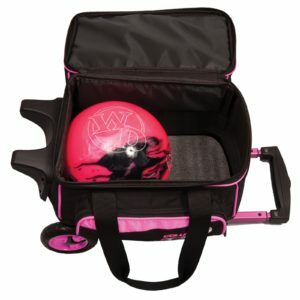 The Capacity: As most bowlers do not want to carry a number of bags, they use the bowling bag to keep shoes, towels etc. as well. So, you better know how much space you want the bowling bag to have. If you are a beginner and use only one ball, the BSI Nova Single Ball Tote bag is perfect for you as it has space for only one ball. On the other hand, if you are an expert bowler who carries more than two balls, this is not the bag for you. When it comes to towels and other soft things, you can easily fit them in the bag. As for shoes, the BSI Nova Single Bag can accommodate one pair of small shoes. In other words, it has the capacity to hold a pair of child size bowling shoes. So, if you use big shoes and want to carry it inside your bowling bag, this bag is not the one for you. The Build: The BSI Nova Tote bags are made of heavy-duty fabric that makes it quite durable and robust. In fact, they are tote bags that are meant to be carried by one hand using handles or padded shoulder straps. So, you already guessed it right that they are not for carrying more than one ball as the name suggests ‘single’ ball tote bag and also as you cannot carry the heavy load of many balls with just one hand. Apparently, the internal part of the bag contains a foam ball cup to hold that precious ball of yours and keep it in place.Moreover, the bag comes with an extra wide zippered opening. 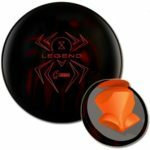 So, you can easily take your ball out whenever you want without any struggle. Lastly, the bags are provided with heavy duty handles. 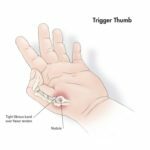 Isn’t that exactly what you need? In fact, heavy-duty handles are constructed in a way so that it can withstand the stresses of rough usage. Like, the heavy weight of the bowling ball and your shoes that you carry to the bowling club almost every day. So, do not worry about the handle coming off because it won’t. The Looks: As I already mentioned, a bowling bag adds to your look what you have always wanted to show off as a bowler or a sportsman. In fact, the BSI Nova tote bags offer you a nice range of color combinations to choose from and personalize your sporty look. Moreover, the classy BSI logo at the center proportionately adorns the bag. The heavy-duty fabric used as the build material. Variety of colors it offers. The wide Zippered opening makes it convenient to take out and put in the ball easily. Great for carrying one bowling ball of any weight. 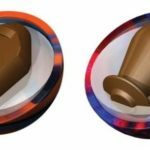 The foam ball cup secures the ball in place and lessens friction. The reduced width of the bag also keeps the ball from moving around too much. Cheap compared to other single ball tote bags. The construction is not as great as higher quality bags. Just the foam holder inside the bag does not provide the ball much support. Does not have enough space for an average sized pair of shoes. The zipper is not durable. Not good enough for being used by serious bowlers. Answer: Well, BSI has not provided us with the dimensions of the bag but it has a base with the width and depth of around 8 inches. Apparently, the top is wider with a width and depth of around 12 inches. In other words, the bag can carry one bowling ball, a pair of child-sized shoes and a towel in it. What is the maximum weight this bag can hold? Answer: The tote bag can hold one ball of any weight. We are almost at the end of our BSI Bowling Bag Reviews. As final words, we would like to say that if you are a beginner and have small feet then you can choose this bag. In fact, it is a great buy for the price with its quality construction and looks. Additionally, as it has the capability to hold only one ball with a towel perfectly plus a pair of very small shoes with difficulty, you should first be sure if that is all you want to carry in the future as well. But, if you are a serious or an expert player, save a bit more money and go for a bigger and tougher bag. We hope you found what you needed. See you until next time!